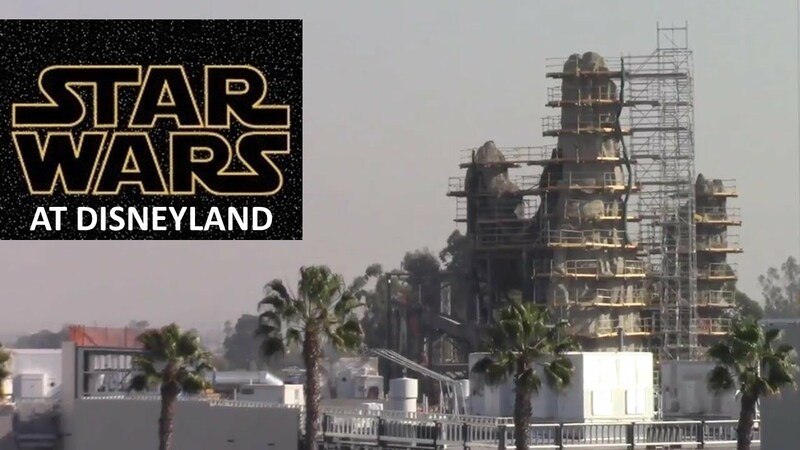 Chapek said specifically at D23 that Anaheim’s Galaxy’s Edge will open before Orlando’s, so no betting or guessing is necessary. 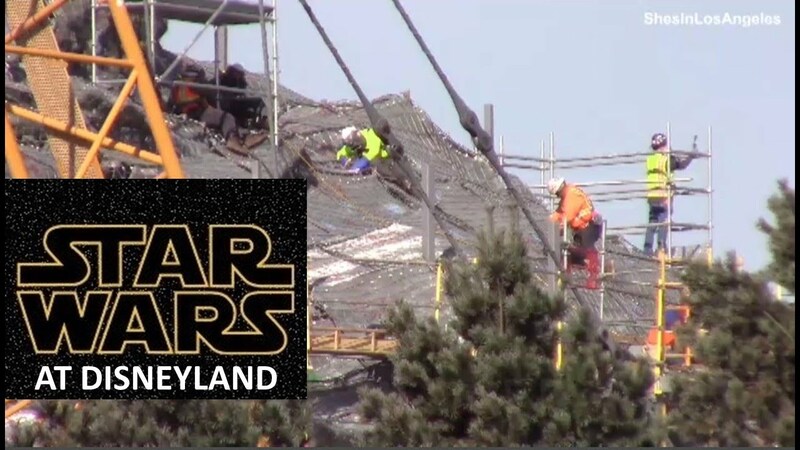 I wouldn’t expect anything story related from the upcoming movies being in the attraction, but it being a more of a unique adventure outside of movie events and more self-contained in the same way Star Tours is. Another SILA video taken 11/28/17, this is the SWGE construction as viewed from Mickey's Toontown. Some good close-up looks at the concrete being applied to the rock formations above the MF building. It's amazing how many man hours go into all of this rock work. A new SILA video from yesterday 12/5/17 viewing the SWGE construction from the Hungry Bear. This is what I've been waiting for, they're installing the steel wire and mesh forms on the more horizontal rock formations around the BE building. They are having to do a lot of the welding lying or sitting down, not the best working conditions as far as I'm concerned. They will have to come up with something that provides better access when applying the concrete to finish this beautiful rock work...I'm sure they have a plan. Another video from SILA from 12/5/17, this time from M&F. Two new SILA videos from Tuesday 12/12/17. 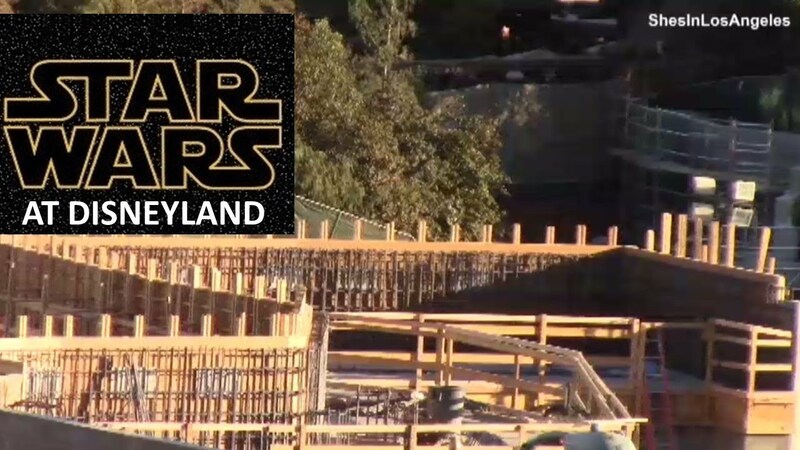 This is the SWGE construction as viewed from the Hungry Bear. They're making quite a bit of progress on the rock formations around the BE building, it's looking very impressive. 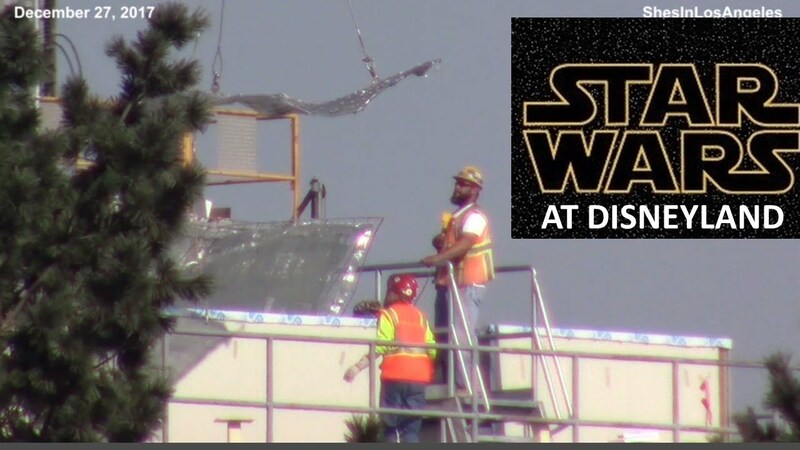 This is viewing the SWGE construction from the M&F parking structure and Disneyland Dr.
A lot of activity on the loading platform at the back of the BE building. Last edited by Hammer; 12-14-2017, 06:27 AM. 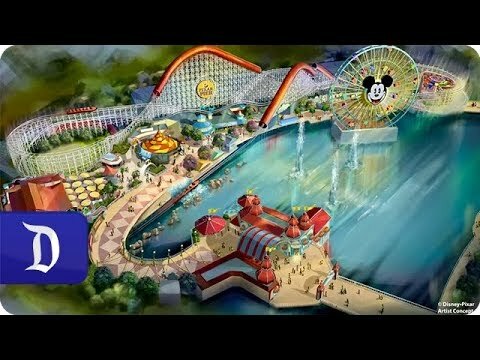 Plans of the Pixar Pier Project are going to be released....over the next 11 days on the Disney Park blog. Here's the first video evidence we have. Looks like some small (and possibly immobile) vignettes of all the characters with a scene added to the end. While I often lament the IP-ization of the parks, I think this is one change that will actually bring some added fun and effects to the ride. I wonder if if they will try to add water back into Incredi-screamin, as the last shot of the video, shows off water effects. Another SILA video taken 12/12/17, this viewing the SWGE construction from Tarzan's Treehouse. Quite a crew hard at work on the rock formations, now they're adding more texture...it's really looking good. At 3:30, it looks like they're adding some exterior material to the MF show building behind the rock work. 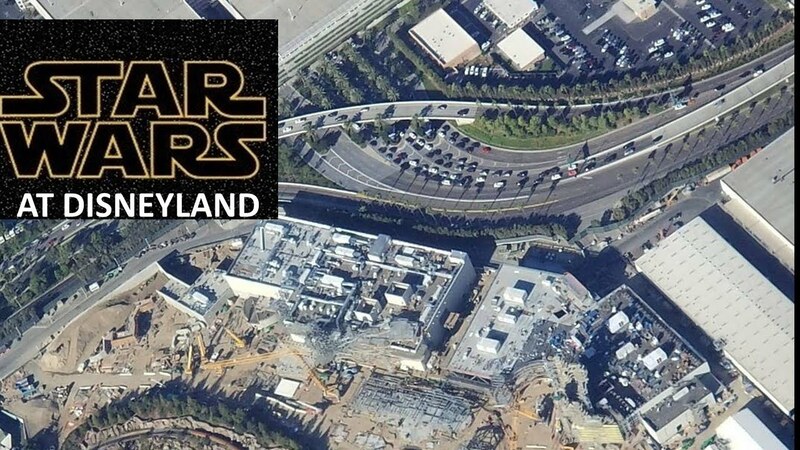 Here’s a two-day old aerial photo over Galaxy’s Edge. It shows that the MF show building is just as big as the BE building, even though it's four simulators vs one dark ride. 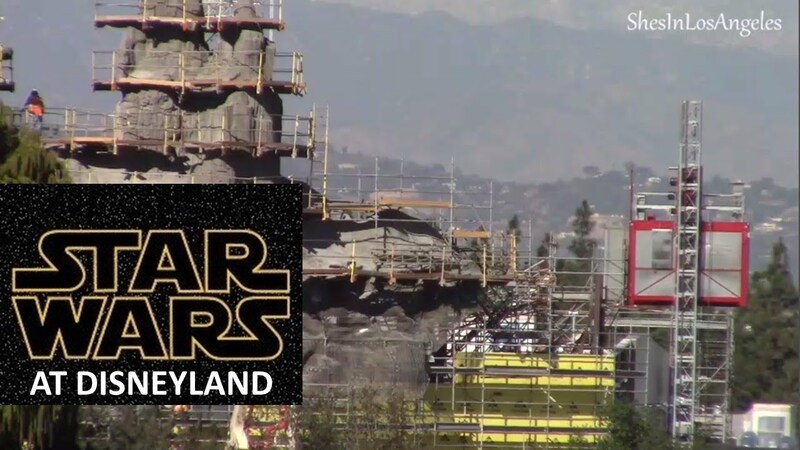 Does anyone know what the view from Star Wars Land: Galaxy Edge looking to the South, will be? I know they built a wall near the Fantasyland Theater. A new SILA video from yesterday 12/19/17 viewing the SWGE construction from Big Thunder Trail. Some close-up views of the village construction, viewing from ground level gives a better idea of the scale. The Imagineers are really creating some interesting texture on the tall rock formations above the MF attraction. Some fun DLRR and BTMRR footage at the end. This SILA video just published starts off with an aerial picture taken from the North side of SWGE and then shows the view from the South as posted above. 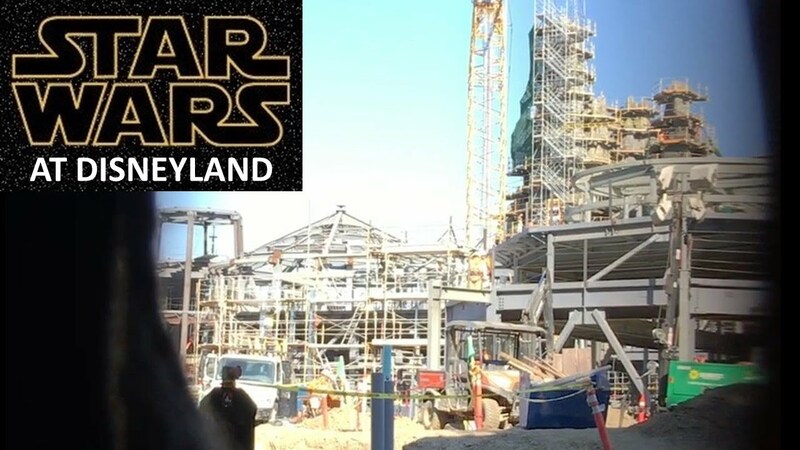 Another SILA video taken 12/19/17 this is the view of the SWGE construction from Toontown. 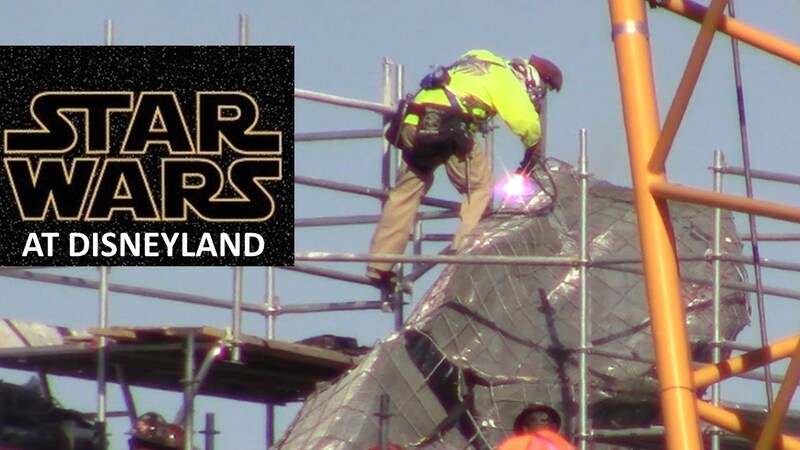 At 3:00 a close-up look of the Imagineers adding some incredible texture to the rock formations above the MF building...it looks to be quite labor intensive but the final results results will be simply amazing. A whole bunch of great new aerial shots of SWL! December 23, 2017: Check out these new aerial images showcasing the current state of construction at Disneyland in Anaheim, California. 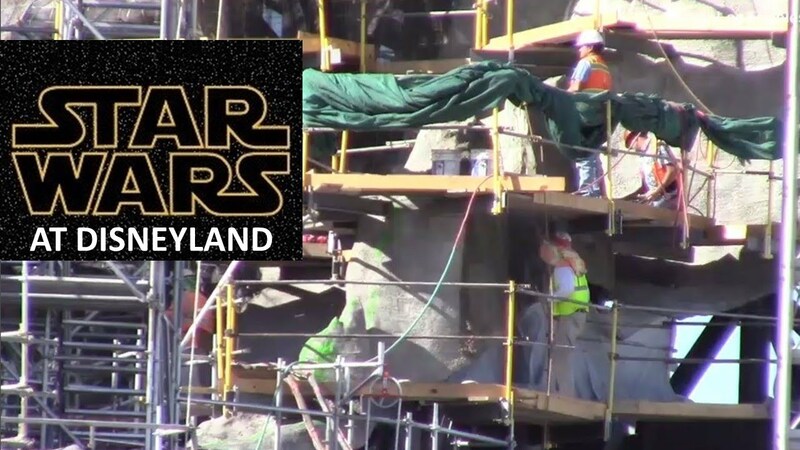 A new video from FreshBaked published 12/25/17 of the SWGE construction from the M&F parking structure, Big Thunder Mountain Trail, Hungry Bear Trail entrance tunnels and the Mark Twain with very little commentary, just mostly ambient sounds which I find refreshing as far as they are concerned. Good video to see the most recent progress though. Merry Christmas to all of you construction enthusiasts out there. 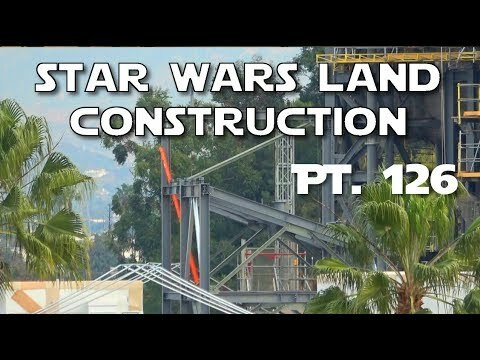 A present (video) from SILA taken yesterday 12/27/17 of the SWGE construction as viewed from the Hungry Bear. 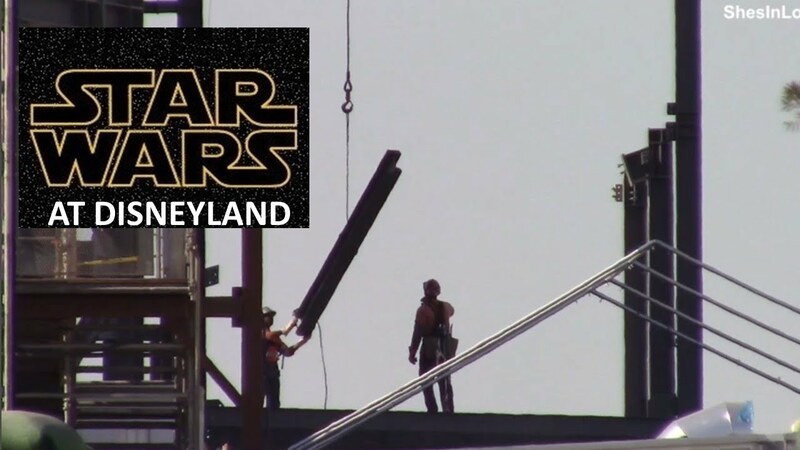 Starting at 1:15, it looks like the worker in the middle of the frame is holding a microphone or some other device to communicate with the crane operator. I've been very curious as to how that is accomplished with the operator unable to see where the load is going most of the time I knew they had to have a spotter somewhere but this is the first time I've noticed one in any of the videos. Another SILA video taken 12/27/17 viewing the SWGE construction from the M&F parking structure. 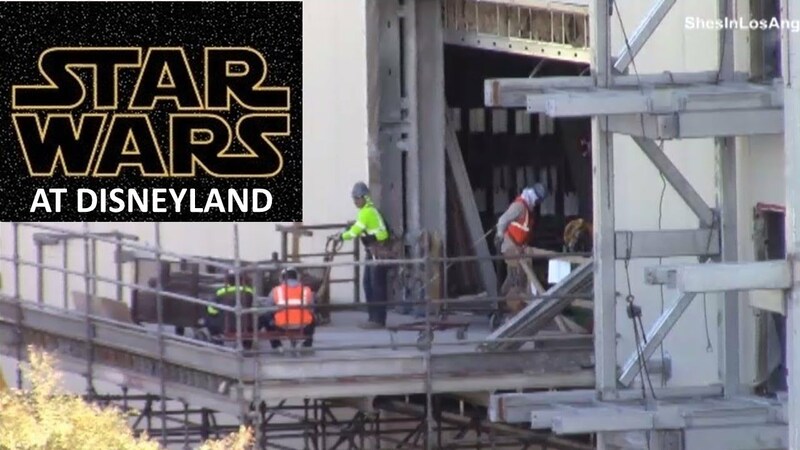 The BE building is pretty much completely enclosed now, only the upper level staging area in the back and the access area on the west side where the Launch Bay is. At 3:50, I'd love to get a good look at those plans. At 5:55, a good look a some of the additional steel structure recently installed above the MF building on the north side of the tall rock formations.